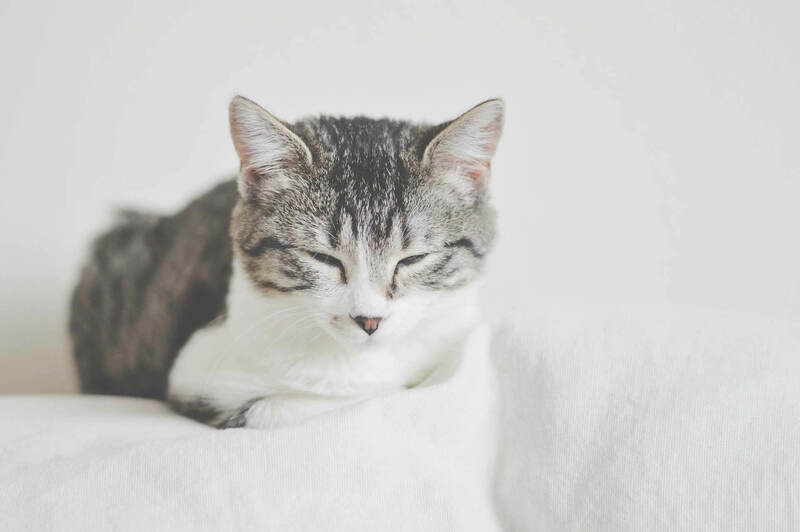 Reduce your feline’s stress when you relocate to a new home with these simple tips and tricks! Moving cats to a new home can be challenging as most cats aren’t generally too fond of changes! Even small alterations to their daily routine can cause protest and behavioural changes. This is why having to move their cats often causes cat owners to worry: Will kitty be alright? Can she be intimidated by the new surroundings and run away? The good news is: Your kitty will be just fine in your new home! It might take some time and effort, but with the following tips, your feline will settle into her new home very well! Place the carrier in one corner of the room, open it and let your cat start exploring. Don’t remove the carrier just yet: Your cat might want to use it as a hiding place during the first couple of days. To let your cat know that everything is alright, find yourself a comfortable place to sit and stay in the room. Try not to stare but still keep an eye out for it. Important: Just because you start in one room, doesn’t mean you should confine your cat to this room. Don’t close the door! In the beginning, your cat will be too busy sniffing around and discovering the first new room to even notice that there is a door and more to explore. Interesting fact: Cats are known to follow new smells or find shelter somewhere hidden when they feel scared. So make sure to always leave some furniture in the room, such as chairs or boxes, where she can hide whenever she feels a bit scared. This will make her feel more comfortable and secure. Does your new home come with a garden? Introduce your cat to it just as you would with the inside of your home: bit by bit. Pro-tip: Experts suggest keeping your cat inside for about 3 weeks before letting it go outside once you moved to a new home since many cats get lost if they are being let outside too soon. Keep in mind: At the beginning, you should keep trips outside brief and allow your kitty time to get used with the new surroundings. On your cat’s first trips outside, she will take her time to sniff around. Wait a few weeks until kitty is truly comfortable in her new place. Moreover, habits and routines also require time until they have re-established themselves. But rest assured: no matter how much there will be to explore, your cat will want to come back to her new home after every outdoor excursion. Good to know: Due to their exceptional sense of direction, cats will most of the time find their way back home. Some cats were even able to find their way home years after they got lost. Find a place to sit or stand in each room and let your cat do her thing. If there are places it is not supposed to go, like surfaces it’s not allowed to jump, this is a good time to carefully introduce them. Give your cat a little nudge or a determined “No!” where necessary, but don’t be too harsh the first time around. There will be plenty of time to enforce those rules later. As for now, just let your feline know that they exist and make sure it has a good time exploring. Maybe at some point during its excursion, your cat will get scared by some new sound or unexpected movement. If that happens, it will most likely run back to the first room because this room will smell most familiar. Therefore, always keep the way back clear in case kitty needs a hasty retreat. Once you start packing your old home into boxes, your cat knows that something’s up. The most cat-friendly way to plan your relocation is to keep the changing period as short as possible. Pick a weekend, ask friends to help in exchange for free pizza and get started. Remember: Cats multiply existing chaos. Open boxes and half-built furniture will make them uneasy. Important: Try to have your new home as ready as you can before you first bring kitty there. This short video will make a summary of all the above mentioned tips and tricks for reducing your feline’s stress when relocating. Enjoy! Like what you’ve read? Share it with other cat parents!